Air quality: Hot temperatures, high-pressure system have pushed ozone levels above national standards more than a dozen times so far this summer. 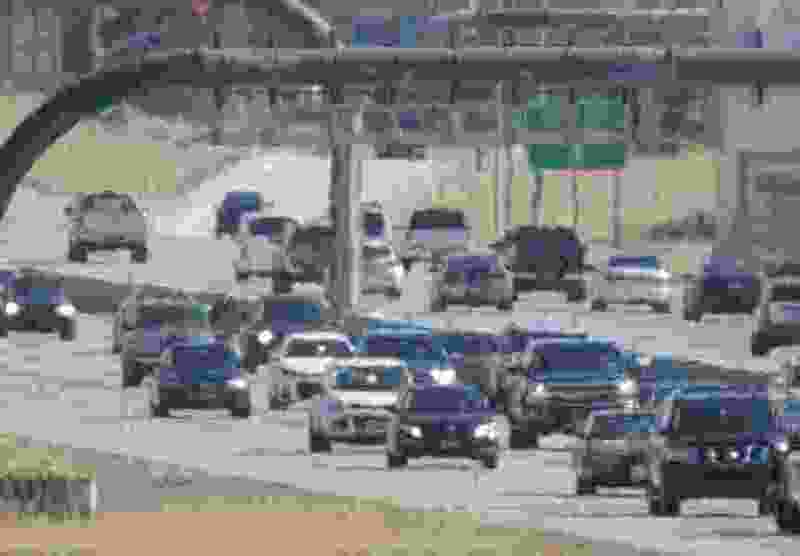 Francisco Kjolseth | The Salt Lake Tribune Utah is currently experiencing the worst summer air quality in nearly ten years, largely due to ozone levels produced by a persistent high pressure system that has parked over the Wasatch Front. The hot-weather equivalent of winter inversions on the Wasatch Front, though less visible, have exceeded national standards for ozone more than a dozen times so far this summer. 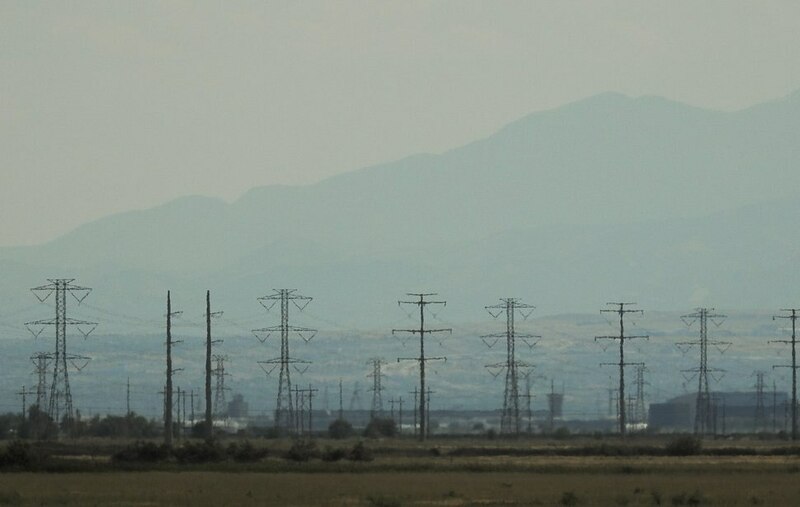 What essentially amount to summertime inversion conditions have produced some of the highest concentrations of ozone seen on the Wasatch Front in nearly ten years, state regulators say. Various air monitors in northern Utah have exceeded the Environmental Protection Agency’s standard for ozone 13-14 times so far this summer, said Bryce Bird, director of the Utah Division of Air Quality (DAQ). The last time the Wasatch Front saw levels this high was 2008, said Bo Call, who oversees air-quality monitoring for the DAQ. Weather patterns are largely responsible for the last several weeks’ change in course, Bird said. Ozone is a secondary pollutant, meaning that it’s not emitted directly by one source or another. Instead, it forms in the atmosphere when sunlight causes other chemicals — especially those released by car engines and other forms of combustion — to react with one another. Conditions have been made worse, Bird said, by a high-pressure system holding the precursor pollutants that become ozone over the valley. That has also allowed residual ozone to build up from one day to the next — instead of it dissipating at night. That high-pressure system effect is not unlike the inversions that settle into the Salt Lake Valley in January and February, Bird said. Only in the winter, cold air trapped beneath the high-pressure system causing the inversion forms a “lid” that results in more localized pockets of air pollution. Ozone, on the other hand, is more widespread and may be more highly concentrated at elevation. High pressure is also causing smoke from wildfires and other pollutants to build up over the valley, but the visible smog isn’t ozone, Bird said. Ozone is colorless and odorless. This summer’s weather has been hotter than normal. Glen Merrill, a forecaster for the National Weather Service in Salt Lake City, said last month’s temperatures averaged 85.3 degrees, compared to the previous record, set in 2013, of 84.1. And high pressure contributed to that hot weather, Merrill said, because the lack of clouds allowed the air to warm up faster during the day. Once hot weather like this sets in, Merrill said, it can be difficult for weather patterns to change, preventing the wetter monsoonal flow from the Gulf of Mexico from moving north. Merrill said the current forecast suggests the hot dry weather will continue through the end of the week, with some chance of spotty thundershowers to break things up this weekend. Should that fail, ozone should eventually decrease over the next few weeks as the sun’s angle changes, Call said. Typically, northern Utah can expect to exceed ozone the standard of 70 parts per billion 4-5 times on average in June, about 8 times in July, and another 4-5 times in August. In the Uinta Basin, which sees high levels of ozone much more frequently than the Wasatch Front, the pollutant is a wintertime issue due to a unique set of conditions. In the meanwhile, Bird said Utahns should avoid ozone exposure by checking the DAQ’s website or mobile ap for updates. Ozone burns lung tissue when inhaled, and cumulative exposure is thought to cause permanent lung damage. Residents should be especially careful to avoid exercising or otherwise exerting themselves between noon and 2 p.m., when ozone is likely to peak, Bird said. Athletes are at greater risk when exposed to ozone because they breathe faster and more deeply, bringing more of the chemical into their lungs. Concerned individuals also can take steps to reduce the amount of precursor pollutants they produce and improve air quality despite the weather, Bird said. Other ozone precursors — a class of pollutants called volatile organic compounds or VOCs — are released from gasoline, paints, solvents, and many common household chemicals. Residents can help to improve air quality by cutting back on driving, choosing low-VOC products and ensuring containers for gasoline and other chemicals are vapor tight. The DAQ called several “mandatory action” days in July and one thus far in August, akin to mandatory no-burn days sometimes declared in the winter. Currently, these mandatory action days only apply to employees of some large businesses and government entities with voluntarily created programs to allow their staffers to work from home when the air quality begins to degrade. Bird said there are as of yet no penalties associated with noncompliance. Bird suggested interested residents might also submit comments related to several new rules the state is currently vetting. The rules are required as a result of the state’s serious nonattainment designation for small particulate pollution, but they will also help curb ozone, he said. The rules can be reviewed at the DAQ’s public comment webpage, deq.utah.gov/NewsNotices/notices/air/Pubrule.htm. The state has not yet begun work on a plan for reducing ozone pollution, Bird said, because the EPA has delayed declaring new nonattainment areas by one year. Prior to that delay, Salt Lake, Davis, Weber, Utah, Duchesne and Uintah counties were on track to become nonattainment areas due to elevated ozone concentrations. Because of the poor air conditions this year, Bird said Utah will likely be required to develop a more strict implementation plan when nonattainment declarations are made in 2018. 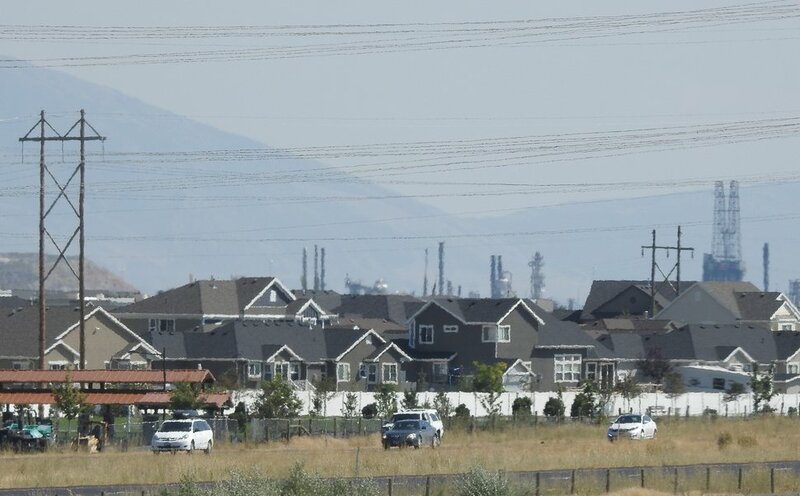 Had the EPA made that call in 2017 as originally planned — before this year’s more severe ozone levels — most areas in Utah would have been granted more leniency, he said.